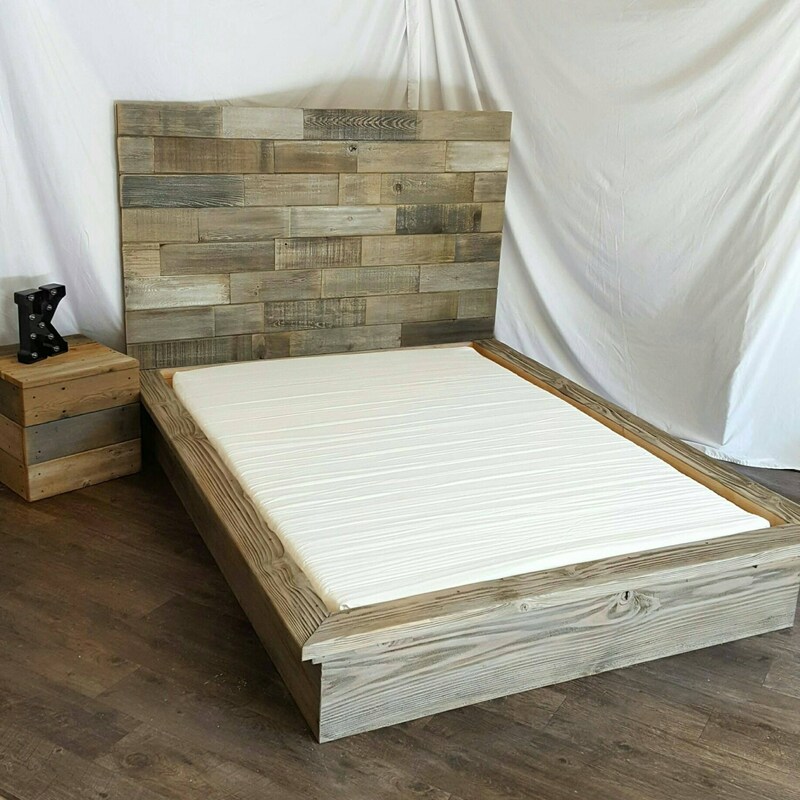 The base is designed to match the naturally weathered reclaimed wood headboard through a series of distressing/aging/ customized layered wax finish. Weight on base is between 200-400 lbs depending on size, and is constructed to be solid and sturdy. 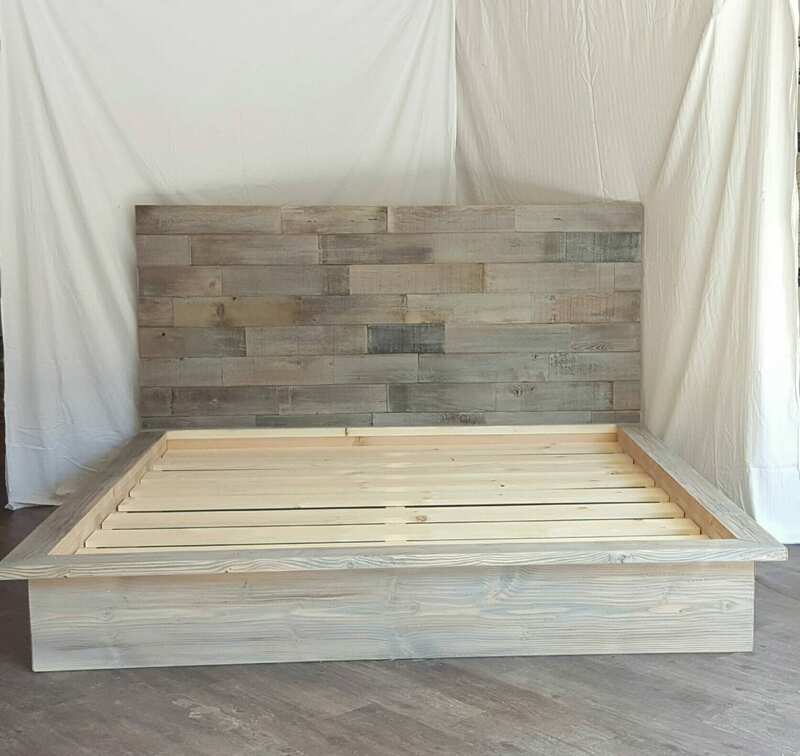 Includes -head, foot, sides, center support, optional slats(to support mattress), and headboard. 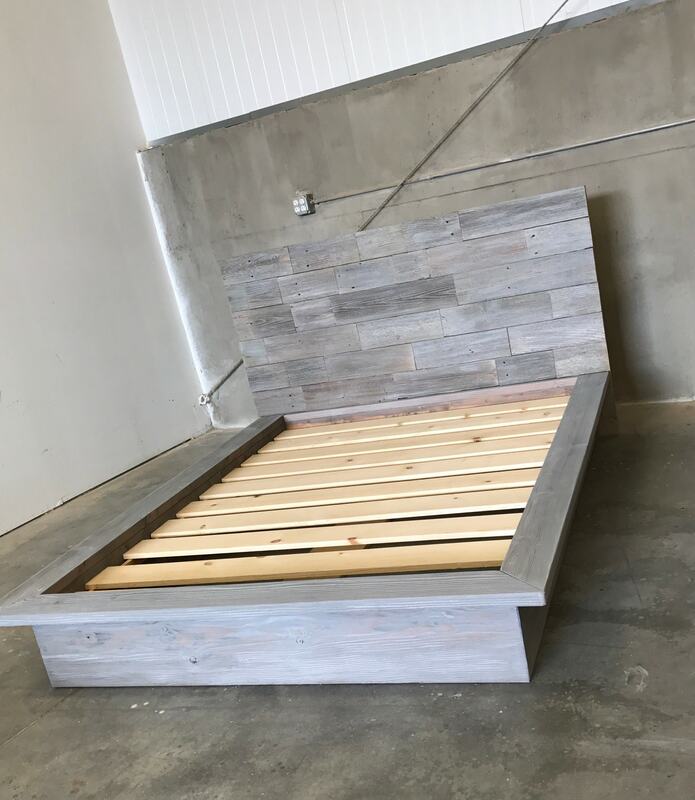 (handheld drill will be required for assembly) Bed will be delivered unassembled in pieces so one can easily maneuver up stairs through doorways. 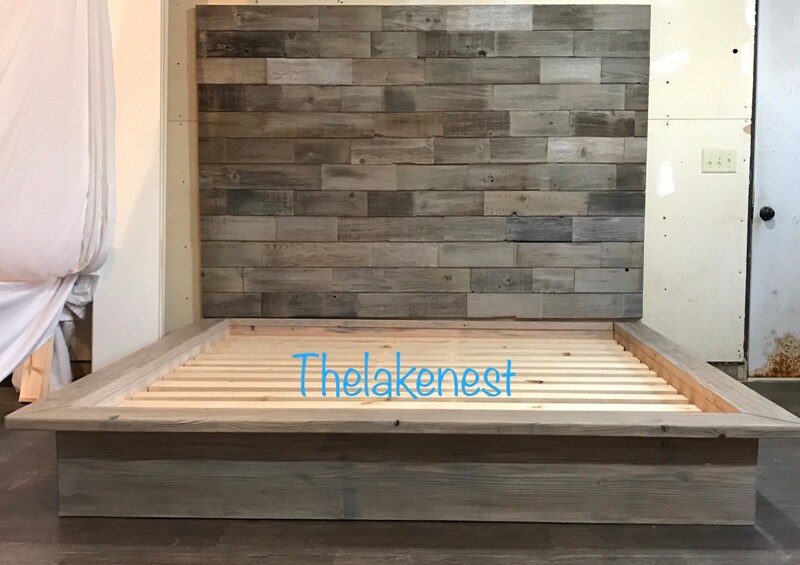 -Base will support box spring unless slats are added to bypass the use of box spring. Base height is 10” tall, Lip of platform is 5" wide. 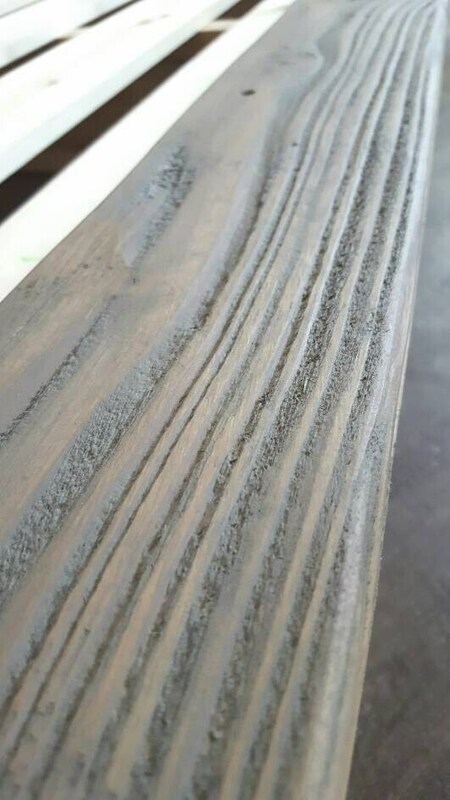 Base wood thickness is 1 1/2" . Customized natural wax finish - to keep the look as raw and natural while maintaining a low maintenence sealer that will age gracefully and buff/touch up any damages easily. It took 10 weeks to receive the bed frame and there were 3 different boxes with damage on boards in every box. It was not packaged well. The stain on the headboard could be done better. It looks like they stained all the boards before cutting them so the stain chipped off the ends where the boards were cut. The pictures online look better than the real frame. I contacted her to get a refund since there was significant damaged and we didn’t want to have to send it all back and wait a long time for her to fix it and resend it and hope and pray it wasn’t damaged the second time. She was not willing to provide a refund since she said it was a custom order. Her website says she will gladly accept returns but not on custom orders, but it appears to me that most or all of her stuff is “custom” so she doesn’t really accept returns. Love our new bed! Thank you so much Jackie! 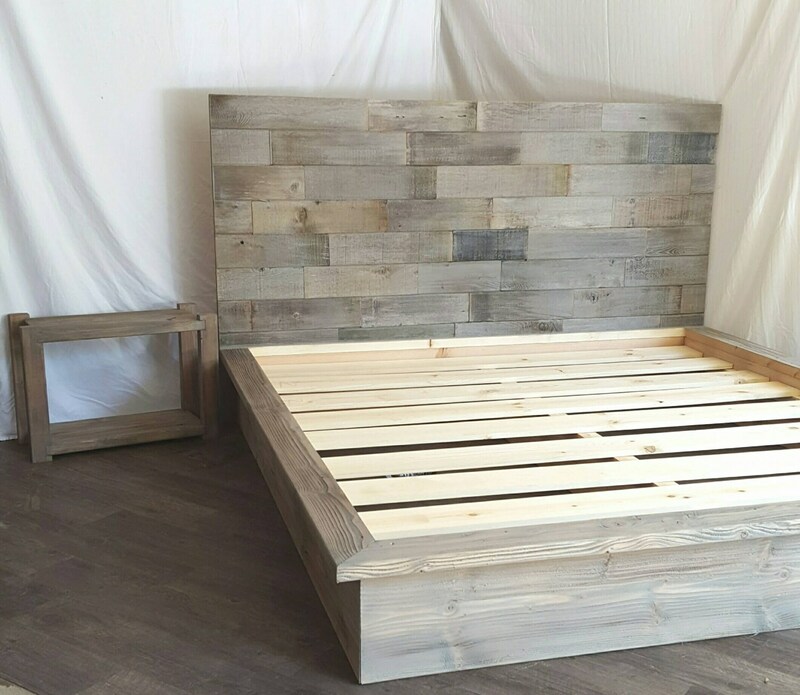 You did such a great job with perfectly customizing our order to fit perfectly to our bed! It was very easy to assemble, it took my husband and I only about 60 min total from box to finish. Thank you again!